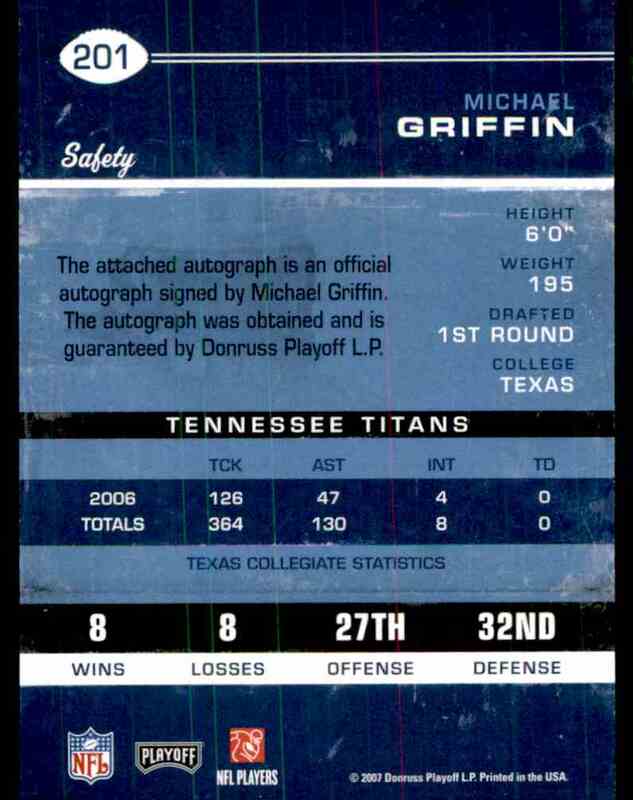 This is a rookie autographed Football trading card of Michael Griffin, Tennessee Titans. 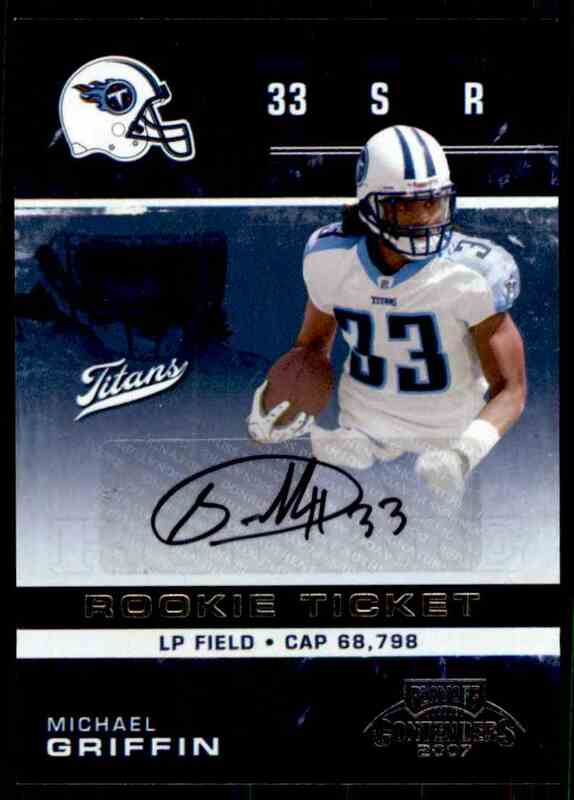 It comes from the 2007 Panini Contenders set. It is for sale at a price of $ 4.99.